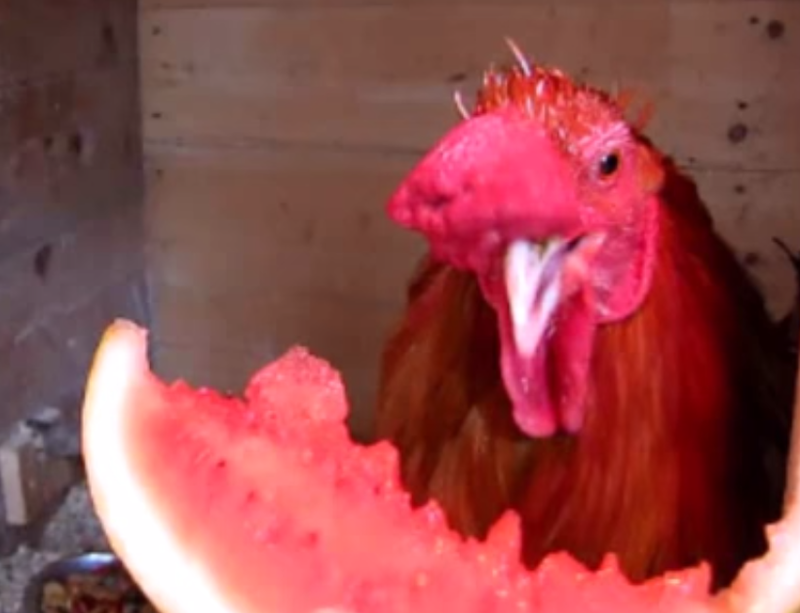 today he gets his own slice of organic watermelon. He also enjoys music and was dancing (head bobbing) and crowing (On The chorus "I'm gonna pop some tags") to Thrift Shop but every time I tried to get it on video he would stop. Oh well. He's so cute. Reminds of my Grandma, she kept chickens all her life. They were pretty much a priority to her, haha.